Hopefully you know that this is a Left-leaning blog. On a whole range of issues, Texas Leftist espouses what most would consider to be “Liberal” values, and those values tend to be more on the Democratic side of the current political spectrum. All that being said, I really miss the old Republican Party. These folks used to be real politicians, and they used to care about actual issues. The Reagan-era GOP had vigorous disagreements with Democrats, but at the end of the day, they got together, laid all of the harsh rhetoric aside, and came up with common-sense solutions to our problems. Sure, both parties have always had extremes, but there used to be enough sanity in the Republican Party to do the real work of government. This is not the case today, as the Republican party has devolved into a phony coalition between scared Republicans and TEA party members carrying the party name, which I prefer to call TEApublicans. Whatever you choose to call them, one thing is clear… the Republican Party as we know it is over. It’s this takeover of the GOP that has led to most of the dysfunction in Congress, and in many ways is the whole reason for the current government shutdown and default. Now that’s not to say that there aren’t still sensible people on Capitol Hill, but those precious few wouldn’t dare oppose the TEApublican caucus. In the Senate, slightly more sanity abounds. But even there, most Republican members live in such fear of drawing a primary challenge that even they can’t always do what they know is best for their constituents. So we have to count them in the TEApublican camp too. But thankfully, there remain a few people on the Right that have both common sense and political courage. In the midst of complete government chaos, Texas Leftist felt it was time to highlight said lawmakers, and remind readers that things don’t have to be the way they are now. One REAL Republican came to mind. And that Republican is Alaska Senator Lisa Murkowski. 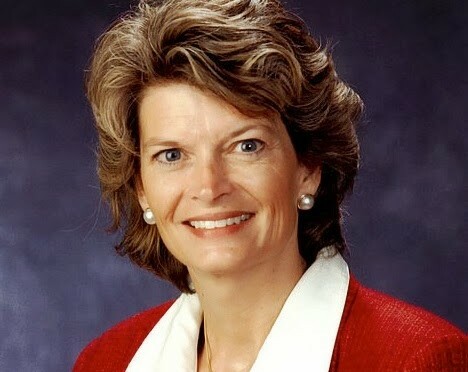 “As bad as I believe this health care law is for our nation, shutting down the government means lost paychecks for gas, rent and grocery money for thousands of Alaskans who work for the federal government and vital services for our veterans, seniors, children and disabled,” Murkowski said in a statement late Monday. “My opposition to the Affordable Care Act doesn’t mean we stop legislating. Again, for the record, I support the Affordable Care Act and it’s implementation… I am not advocating Senator Murkowski’s position here. But I am thankful that she is courageous enough to stand against the TEApublican caucus and speak from a point of common sense. 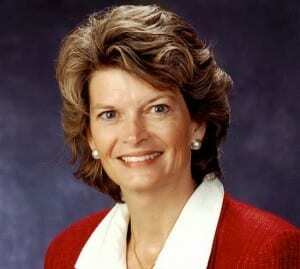 Of course Murkowski has earned the ability to be independent. The true TEA party faction within Congress is a small number of lawmakers, but most Republicans will not oppose them because they fear a “nightmare scenario” of drawing a Primary challenger for the next election. In essence they care more about their own reelection than they do about what is best for their constituencies, which is why we’re in this shutdown/ debt ceiling mess in the first place. But that nightmare scenario is one that Senator Murkowski has already endured. In 2010, she lost the Republican Primary to Joe Miller, a TEA Party challenger and favorite of Former Governor Sarah Palin. Knowing now that Miller had the full support of the Republican Party establishment, almost everyone concluded that Murkowski’s political future was over. But they were wrong… Murkowski launched an historic write-in campaign to keep her seat, and won the election without even being on the ballot. Instead of being controlled by the voices of extremism, the Senator put her constituents first. Whatever your political ideology, you have to admit that it took some brass to do this. Brass that is decidedly missing from the TEApublicans of the 113th. We spend a lot of time on the Left painting the GOP with one broad brush… all of them are terrible, all of them are intransigent, all of them are dangerous… and sure, a bunch of that criticism is deserved. But I suspect that if more people in Congress were like Senator Murkowski, the government would not be the train wreck that it is today. Let’s hope more messages like hers start to sink in. If they don’t, we’re all in trouble. Thanks for the leadership Senator. If there’s one thing the modern Republican Party wants you to know about them, it is that they are Anti- Choice. No, it’s not fiscal conservatism. It’s not creating jobs. It’s definitely not trying to find solutions to the nation’s issues. Just take a look at their record. In every state that the GOP holds power, anti- abortion and family planning restrictions have been the supreme priority. Just in 2013, over 40 separate restrictions have been passed across different states. And that number keeps on climbing. If Republicans are not working to pass TRAP laws, then they are working hard to defund established programs for women’s health and family planning services. But the real irony here? We wouldn’t have those services in the first place if not for the diligent work of the GOP. The law that we now know as Title X, the law that essentially funds family planning for low income women, was signed by none other than Republican President Richard M. Nixon, and passed Congress due to the tireless support of then- Congressman George H.W. Bush. Smart, sensible contraceptive services were part of the Republican legacy of the late 60s and early 70s in this country, which all came to a crescendo with the Roe V. Wade decision in 1973. But as money influence grew and the number of GOP voters didn’t, it became necessary for the party to start using wedge issues as a way to stir up fear and anger within their base. Republicans have been forced to latch on to the far-right in order to stay relevant, and as a result are driving out party moderates at a deafening pace. Those moderates were given an ultimatum at the 1976 GOP convention. The party was faced with fracture over Roe V. Wade, and the Pro-choice wing… much closer to even with Anti- Choicers at the time… was basically silenced to form a lasting coalition with the Religious Right. From that point forward, Pro-Choice opinions in the party have virtually vanished from the national scene. But even with this cogent reality, there are still a few Republicans out there that refuse to hop on the anti-choice, anti- family planning bandwagon, and they pay dearly for it with party backlash. Take Texas State Representative Sarah Davis for example. During the Second Special session of Texas’ 83rd legislature, she became the one and only Republican to speak out against the state aggressive plan to ban abortions at 2 weeks, and close down the vast majority of the state’s clinics. The reward for her independent action? Having her Twitter account hacked, threatening calls to her offices and a slew of terrible blog posts. And of course, that’s just the public backlash… privately the party probably wasn’t very happy with her stance. Unfortunately, many Americans still do not have unfettered access to birth control. Cost and restrictions can make contraception inaccessible to those people who need it most; regular visits to a doctor and prescription costs prevent many people from obtaining reliable birth control. And now, in states such as Texas, some uninformed lawmakers are reducing funding to family planning initiatives, cutting off all healthcare access to many families. The results of these cuts have been glaringly injurious to all citizens. Unintended pregnancies in Texas have been on the rise, and the cost to taxpayers could be as high as $273 million. Some people argue that it is not the duty of government to provide these services, but the reality is that without them, the financial burden on taxpayers will be dramatically increased in the long run. As Republicans, we firmly believe in responsible government spending, and we cannot allow our leaders to cut corners now that will cost taxpayers millions in the future. While some individuals object to investments in family planning, the reality is that spending money on preventative services now will save the nation millions of dollars down the road; it is truly the only fiscally responsible choice. The Republican Party once championed investments in family planning, and the numbers clearly illustrate why we must move back towards that position. A recent study from the Guttmacher Institute reveals that for every $1 spent on family planning initiatives, the nation saves $5.68 in the long run. With programs like Title X, we can increase the quality of living for out citizens and save enormously on healthcare burdens in the future. The facts are undeniable: family planning and access to birth control save the country money. In addition to proving the only sensible choice, family planning initiatives also serve the goals of social conservatives. Without public investment in family planning, 2010 would have seen approximately 2.2 million more unintended pregnancies, resulting in 760,000 more abortions. This is an issue where we can find common ground. There is only one way proven effective to reduce the rate and incidence of abortion: promoting access and use of birth control. We should agree on this issue no matter our political views. Is it possible that a common-sense message like this one can ever find resonance in the greater GOP again? That answer is not known for sure, but it’s already appealing to citizens in states like Texas and North Carolina, as was evidenced through historic protests of recent omnibus abortion bills. And that’s where Democrats have an advantage. They already know that having access to contraception, and educated choices actually reduces the number of abortions performed. They already know that its also not only better for women, but saves the government money. But this must be articulated in a coordinated message, the same way the GOP executes their Anti- Choice lies. The RMC is making the case for how to win over Red States. Now it’s up to Democrats to pay attention and harness it. As long as the GOP makes contraception and family planning a group of wedge political issues, Democrats can and should use them to their advantage, and win over common- sense conservatives and moderates. And remember that safe, legal and rare argument?? Why did that seem to vanish from the Democratic lexicon after the Clintons? We should bring it back too.